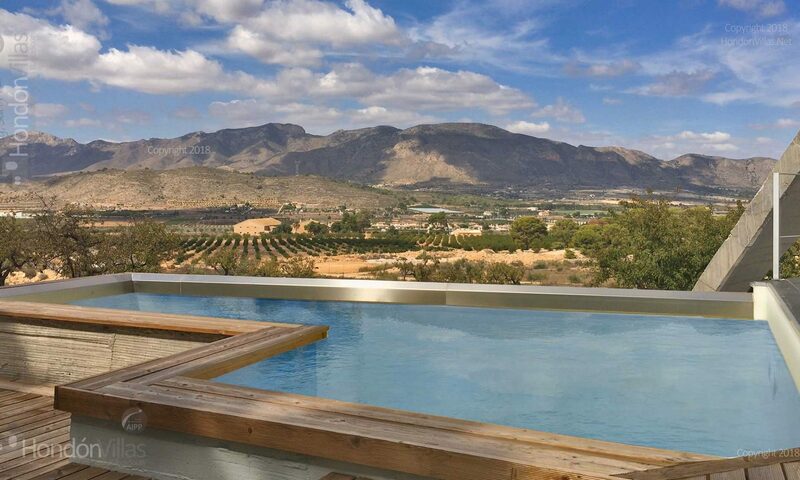 Hondon Villas are pleased to bring onto the market for sale this impressive country style villa in Barbarroja, offering 360 degree mountain views, and over looking the olive tree fields and more. The villa itself comprises of a fitted kitchen with central island, large lounge with a fireplace, 6 bedrooms, 4 of which have there own en-suites and 2 have there own balcony and also a family bathroom. At the back of the house is a separate casita with its own private entrance comprising of a bedroom, kitchenette, lounge (which could be a 2nd bedroom) and 2 bathrooms. This provides further guest accommodation. Outside is an impressive plot of 12,000m2 with a private swimming pool and ample seating areas over looking some truly stunning views. The previous owners have gravelled the gardens and planted trees and shrubs. 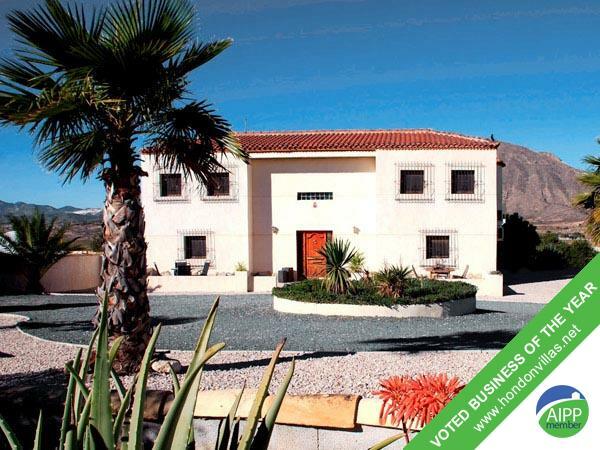 The villa benefits from air conditioning, central heating and solar panels.